As a institutional camp within the beautiful Moose Mountain Provincial Park, and in keeping with the institutional lease agreement, which only allows third party renters if they are educational, religious, or charitable, we are no longer renting out our facilities to private families as we have been accustomed to doing in the past. ​INSTEAD...We are developing a BRAND NEW REUNITE RETREAT PROGRAM for families and friends. We want to offer you an experience that goes beyond just enjoying our beautiful facilities in the heart of nature. Our environment at camp fosters unity, oneness, harmony, inner peace, inner joy and a reconnection to nature and to the Divine. We are continuously working on our retreat offerings, and would love to work with you to develop a retreat designed especially for you and your family and friends. We also have a continuously growing library that you will have access to covering areas of marriage, love, relationships, family, and spirituality. We offer two beautiful lodge-like facilities called the Mother Teresa Centre and the Kome N See. The camp is located in a beautiful nature setting with lake-front access to Kenosee Lake. There are many trails and opportunities to connect with nature. Check our FACILITIES page to view our camp. The Mother Teresa Centre is a 12 bedroom retreat facility with a large living room area including a fully-functional kitchen, 3 bathrooms, 3 showers, and a bath tub. It sleeps 36 (3 per room - 1 double and 1 single). The Kome N See is a 4 bedroom cabin with an open family room and kitchen layout. There is a beautiful deck which faces into the woods and windows that face into the woods and towards the lake. There are two bathrooms and one shower in this facility. 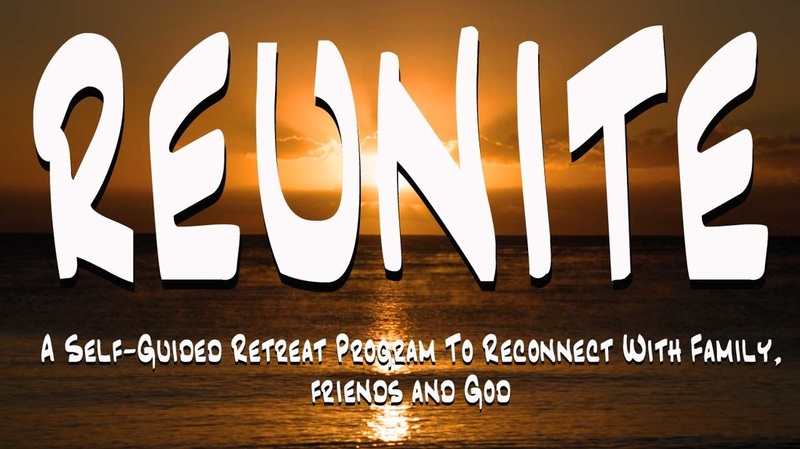 CURRENTLY: During your time here you will be given a retreat guide with activities that will help bond and reconnect to each other and to God. You will also be given a list of retreat services we can provide you with, from group to private individual sessions. ​We have received many testimonial letters from people who have enjoyed and been blessed by this re-connection in life. Your personal bedding for double beds and single beds (or sleeping bags). We do not provide bedding to keep the cost down. Since the facilities are rented to many different people, we ask you to be allergy conscious. This includes not introducing strong smells to the facility and DO NOT bring pets into the facility. ​We keep costs as low as possible, which is why we ask you to bring your own bedding and leave the facility cleaner than you found it (we provide cleaning supplies, including: a vacuum, brooms, mops, toilet cleaners, and garbage bags). Your stay here and your participation in this self-directed family retreat program not only ENHANCES LIFE in families and individuals but it also helps us financially to provide our summer camps for kids and families. Thank You! You will be our main contact for this registration. If you have already called us then we already have this information but we need it to connect this form to you. This is just a very approximate number so that we can make sure we can accommodate to your needs. What day/date will your group start arriving on? Any comments, questions or special instructions?